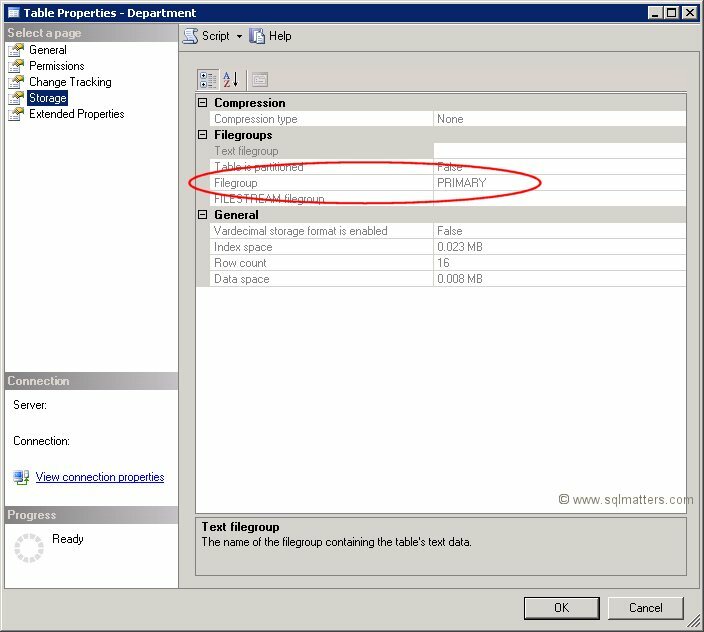 By default a database has a single filegroup called PRIMARY and all tables are stored in this filegroup. However it’s possible to create other filegroups and store tables in these other filegroups. One of the most common reasons for doing this is if you have some high performance disks and want to store certain tables on those faster disks. This is especially useful for data warehouses and other large databases where you might have some data that is accessed more frequently and where response times are particularly important. 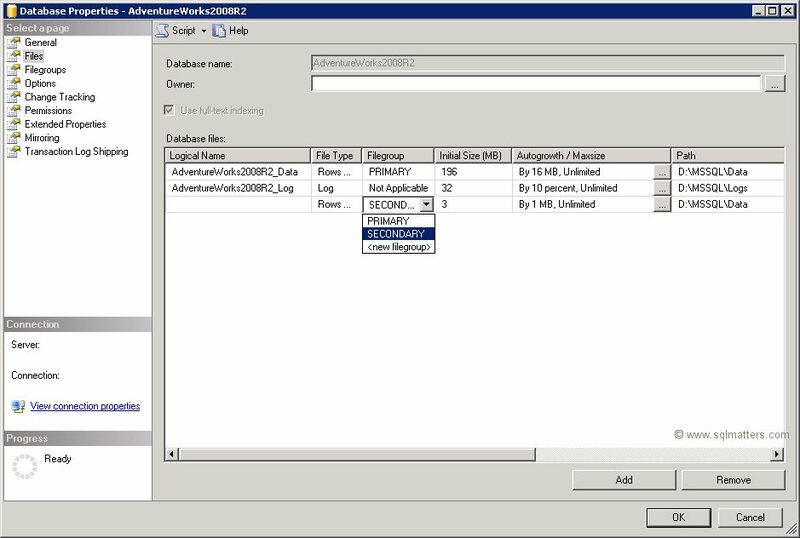 This article shows how to create another filegroup and move existing tables into the new filegroup (if you are creating new tables then you can just create them on the new filegroup). 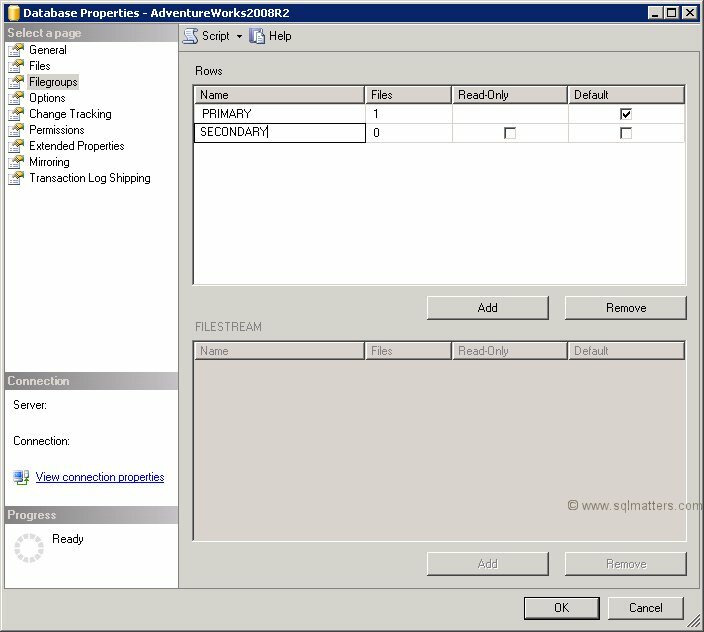 I have used the AdventureWorks2008R2 demo database which can be downloaded from the CodePlex website. 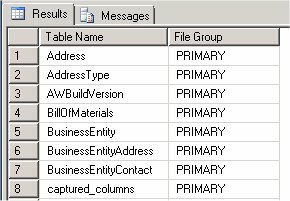 This query lists all tables and their associated filegroup, which will be ‘PRIMARY’ if you’ve just used defaults. If the table is partitioned, and therefore potentially stored on multiple filegroups, it will be listed as ‘(partitioned)’. Click OK to create the new filegroup and file. You may be wondering how to move a table the filegroup of a table without a clustered index (i.e. a heap). As far as I know the only way is to temporarily add a clustered index on the new filegroup and then drop it (if necessary). Finally if you are creating new tables then there is no need to create them on the PRIMARY filegroup and move them, you can just create them straight onto the new filegroup. 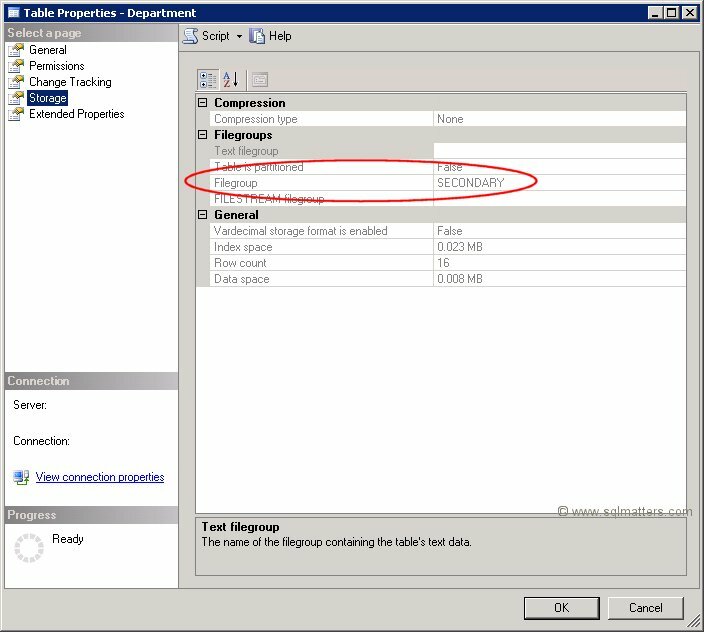 This article has shown how to create a new filegroup and move an existing table into this filegroup (or any other filegroup). Step by step. Thank you. Very surprised others have not commented with same. Can we partition tables on to a separate server or if I put my question in another way than can we create filegroups or ndf file on to a separate server disk. I do know that we can do this on same server but different drive if change the ndf file path but I want to know is it possible to give it a separate server path.